Few may know Hawaii is the only state that grows cacao, the key ingredient in chocolate. The island of Oahu boasts a number of renowned chocolate makers. What sets Hawaiian chocolate apart is its unique and distinctive flavor. Below are places on Oahu where you can sample some of the finest chocolates in Hawaii. The Honolulu Chocolate Company begins mixing chocolate at 6 am daily. Selling more than 100 products, they are famous for their chocolate-covered fruits. The most popular ones are: double dipped chocolate cherries, pineapple, mango and oranges. They also offer macadamia nut clusters, Oreo cookies and more. There is also a shop at the Sheraton Waikiki Hotel & Resort for guests staying in the Waikiki area. This company only uses cacao grown in Hawaii in their chocolates. They sell gift boxes of dark, white, Kona coffee and dark chocolate. Maile Kai Chocolates also offers bars with crunchy cacao nibs for texture. This is an environmentally conscious company. Maile Kai Chocolates does not use pesticides on the trees. At the same time, they recycle harvested cacao pods as compost in the orchards. If you are staying in Waikiki, the company also has an outlet at Royal Hawaiian Center in Waikiki. Located in Kailua, the Ma’noa Chocolate Hawaii company sources cacao from around the globe. They provide a detailed “bean-to-bar” tour. It explains how the company harvests and processes cacao into a chocolate bar. Visitors can then shop for wide range of products. They include: dark chocolate bars, Hawaiian sea salt chocolate, assorted truffles, goat milk chocolate bars and more. This family-owned chocolate company creates dark artisan chocolates, truffles and other treats. They also sell a unique assortment of non-alcoholic truffles. Such flavors include: poha berry, lychee and Kona coffee. Amaretto, sake and French 75 are some of the liqueur truffle flavors. While this not widely publicized, they even donate a portion of their profits to charitable organizations. Chocolates from Madre Chocolate have a subtle savory taste with flavors like chipotle, allspice and spiced pecan. They also offer Hawaiian-themed products such as lili’koi, coconut and hibiscus bars. The distinct block-molds of the bars give Madre Chocolate a special flair. This company also provides a 5-day long cacao harvesting boot camp for chocolate devotees. Waialua, on Oahu’s North Shore, has been described as the best place to grow cacao beans in Hawaii. This is due to the area’s rich volcanic soil and right amount of annual rainfall. It also could be among the best places to make chocolates in Hawaii. Working with Guittard Chocolate of San Francisco, Waialua Estate creates high quality dark and milk chocolates. As a result, it brings the best of French-influences to Hawaiian cacao beans. You can find Pandovani’s Chocolates in the Dole Cannery. Here, brothers Phillip and Pierre Padovani treat chocolate-crafting as an art. As a result, it’s no surprise that their chocolates are delicious. They also offer over 40 flavors of flavorful truffles. So the Padovani brothers know how to make sophisticated melt-in-your-mouth chocolates. This family-owned company first planted cacao beans in 2009. They started with select batches of quality chocolate. But they are not your every day chocolate maker. An unorthodox method of aging the chocolate increases its flavor. Then they place it in a mold depicting the Hawaiian Islands. 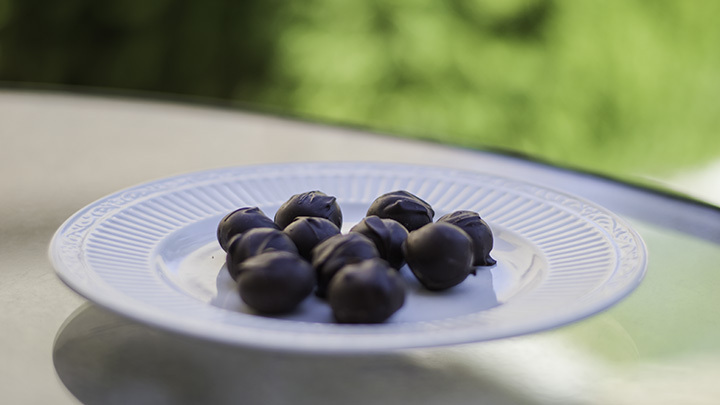 Focusing on quality, Lonohana Hawaiian Estate Chocolate releases their premium products only 6 times per year. But their chocolates are well worth the wait. Where Can You Get Shave Ice in Hawaii?